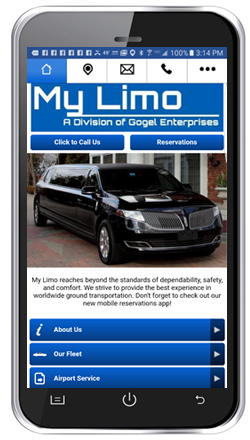 My Limo reaches beyond the standards of dependability, safety, and comfort. We strive to provide the best experience in worldwide ground transportation. • Easily set up a secure profile to manage your reservations, payment options, and obtain receipts. • Looking for help with our Apps?